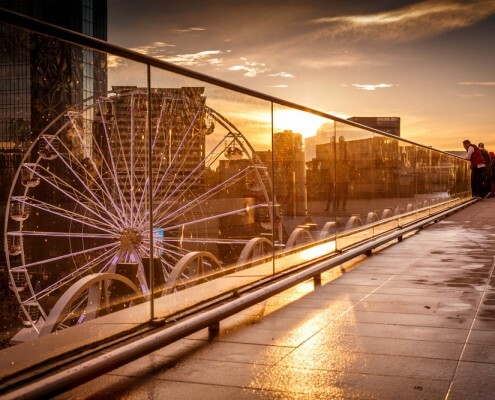 Target slow-moving traffic and heavy pedestrian flows during Birmingham’s most visited time of the year – boosting your brand and generating demand alongside one of the most respected yearly events that dominates the Birmingham City Centre Sky Line. This is a unique advertising and sponsorship opportunity to target the high volume of pedestrians and vehicle traffic including commuters, shoppers and tourists to this busy city. A chance to have your brand advertised in one of the most prime locations in Birmingham; attracting a high volume of pedestrian traffic which includes visitors to the major city attractions such as the Birmingham Repertory Theatre, International Convention Centre (ICC), Symphony Hall, Barclaycard Arena (previously known as the National Indoor Arena or NIA), National SEA LIFE Centre and large seasonal events like the German Market. One of Birmingham’s premier areas – Broad Street attracts weekly visitors to their fashionable bars, clubs and restaurants. Your Branding On Display 24 hours a day, for 7 weeks in Birmingham’s Best Advertising Position. 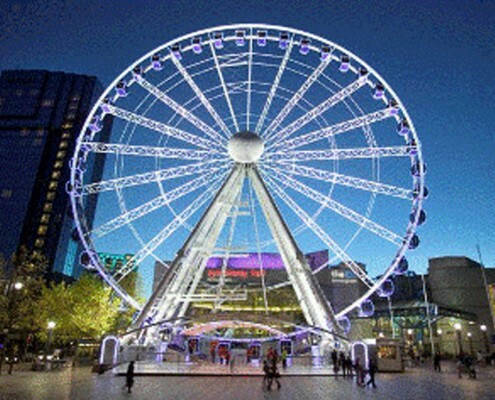 We are offering to the chosen brand a unique opportunity to advertise or sponsor the UK’s most spectacular Ice Skating Rink, Big Wheel and Ice Bar. This can be an exclusive or shared depending upon your requirements. This carefully chosen brand will enhance the already amazing image that has been created in previous years as seen in the photographs shown. With a population of 1.8 million* people – in 2014 a record 34 million visitors came to Birmingham and recorded figures suggested a spend of £5.34 billion, showing Birmingham to be a key part of the UK. 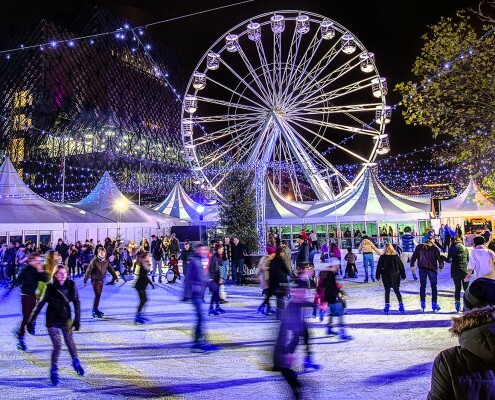 Birmingham has become a world-class tourist destination and with the largest Christmas market outside of Germany being held here and attracting more than 2.8 million visitors with its popularity growing year on year, this opportunity needs your full attention. The Frankfurt Christmas Market and Craft Market 2015 is open from Thursday, November 16 , to Sunday, December 24 from 10:00 am to 9:00 pm daily. The German market begins by the Bullring on New Street heading towards Victoria Square which is just a 13 minute walk from Ice Skate. 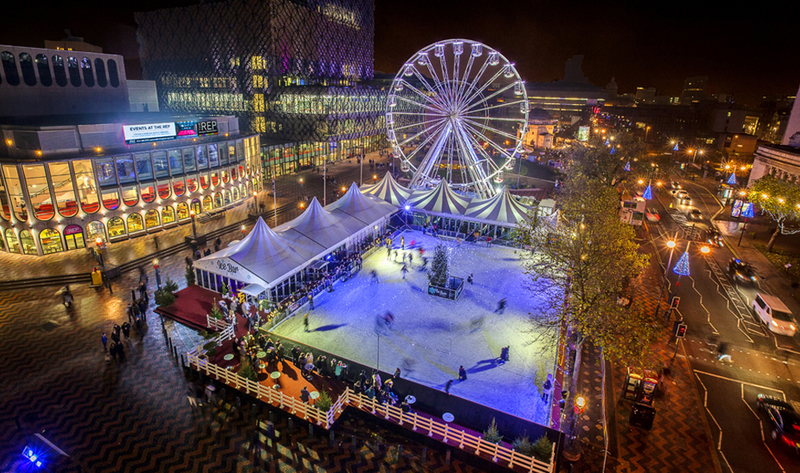 5 million people are predicted to visit Birmingham’s German Market held at the same time period. Run now for over a decade and attracts both residents and visitors to the city from all over the UK and Europe. We already have interested brands but due to Birmingham City Council’s strict guidelines that must be followed, we need to select only the most appropriate brand to work with. For more information about this opportunity and to arrange a meeting please fill in the form above or call us on 0121 663 1090.